We are about to hit the excesses of the festive season which means way too much food & alcohol and way to little exercise. Good times ahead, but, once the New Years Eve hangover has subsided, it will be time to start thinking about the new year ahead, which for many means getting on Google and searching for “get fit now“, “local gym memberships“, “personal trainers” or “loose mt xmas fat“. 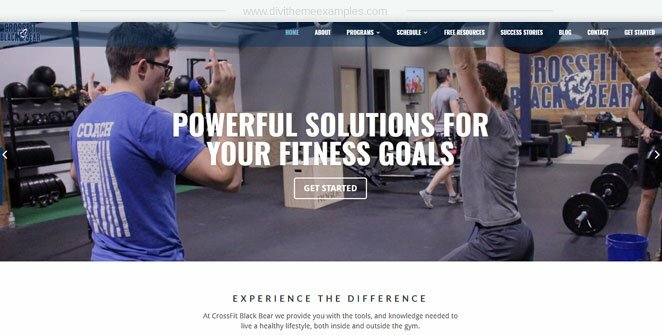 Gym memberships peak in the new year as we all start a fresh year with grand ideas of a better, fitter life, so there is no better time to get some new web design clients in the fitness niche. 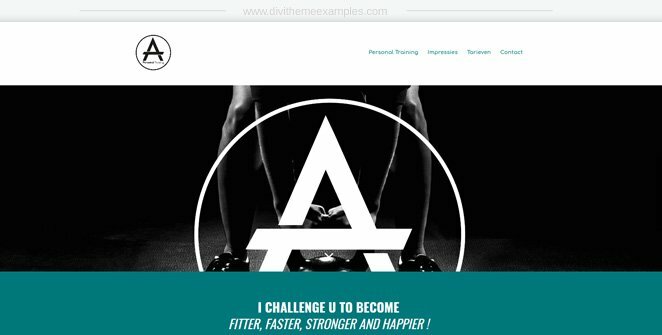 If you like to use Divi layouts then you may want to check out 6 Free Divi layouts for fitness websites that was posted on Divi Theme Examples last week. 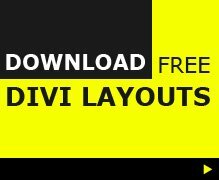 These layouts a free to download and include 1 pager templates and full multi page Divi layout packs. 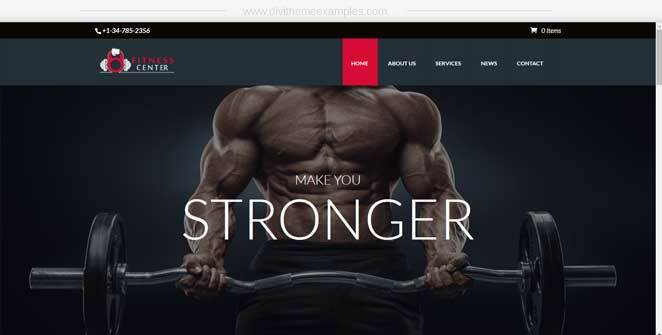 Below are a few examples of websites in the fitness niche to give you a little inspiration. 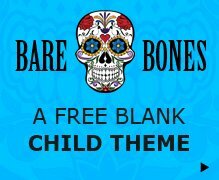 If you are still feeling a little rusty after the festive season we also have some premium Divi child themes and free Divi layouts that you can use to quickly give your project a great kick-start. 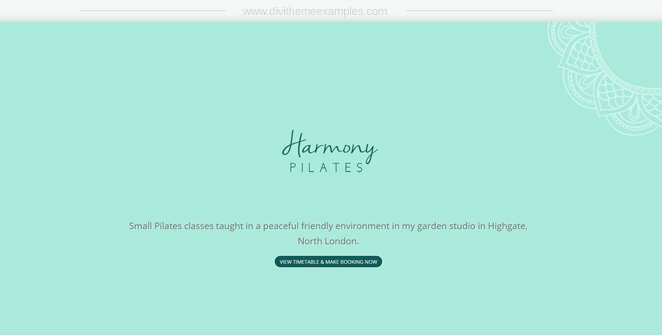 Harmony Pilates offers Pilates classes in north London, UK. 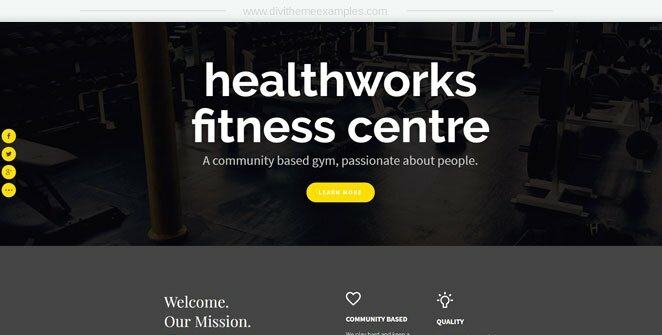 Health Works Gym is a Gym in West Yorkshire, UK. Crossfit Black Bear is a cross fit gym based in the USA. 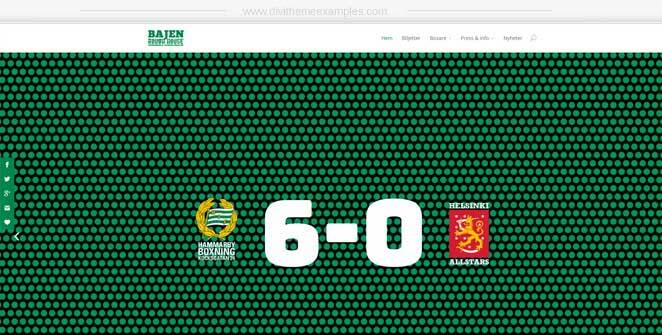 Bajen Rough House is a boxing gym based in Sweden. 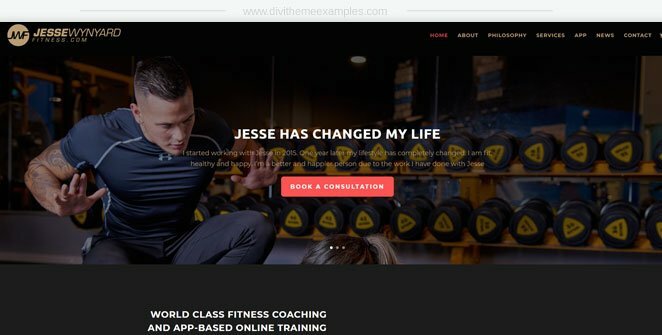 Jesse Wynyard Fitness is a fitness instructor based in New Zealand. Miss Fitizen is a fitness coach based in Canada. 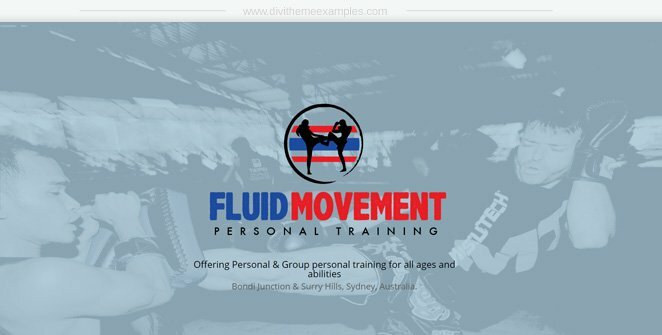 Fluid Movement is a personal training service based in Sydney, Australia. Yoga Taylor is Yoga instructor based in USA. 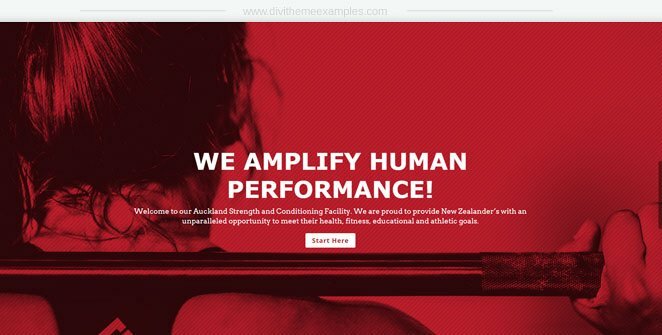 Strengthhq is a gym based in New Zealand. 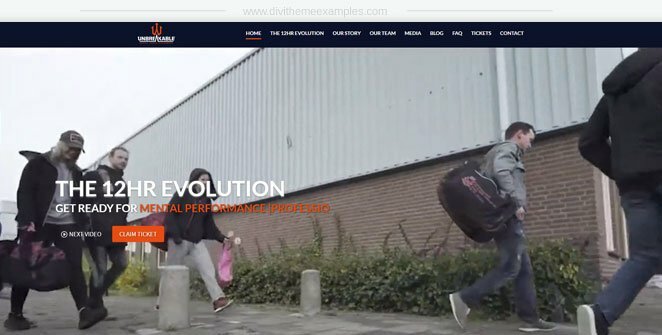 Unbreakable is a Special Forces traineing program based in the Netherlands. 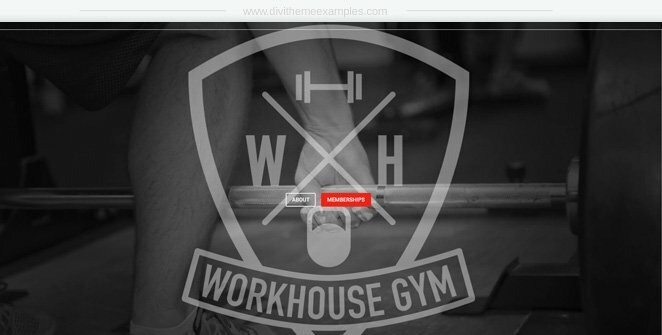 Workhouse Gym is a gym based in the UK. 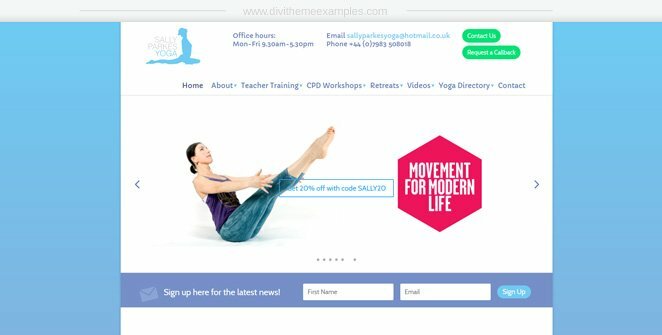 Sally Parkes Yoga is a Yoga classes based in UK. Mijn Personal Trainer is a personal trainer based in Belgium. Bellarine Sports Medicine centre is a sports medicine center in Australia. 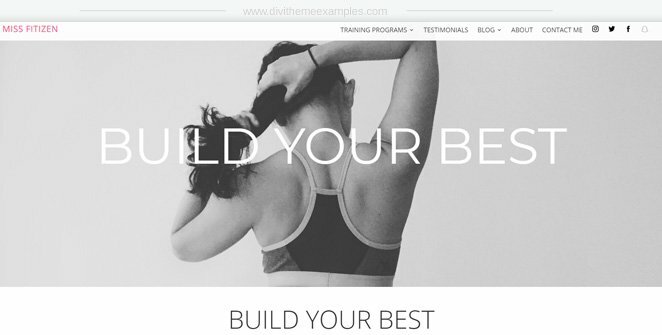 If you need a helping hand getting your fitness website up and running, then these 3 premium Divi child themes specifically designed for fitness websites can give you a fitness website in a few clicks, ready to add your own content. Crossfit Wodster is Fitness child theme that can be purchased for $29 (single site license) over at Aspen Grove Studios. 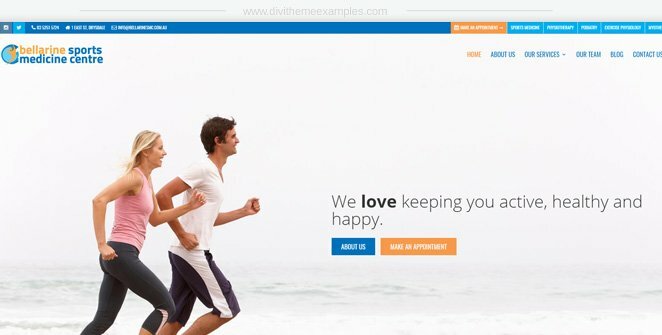 Gofit is a Fitness child theme taht can be purchased for $44 over at Divi Pug. 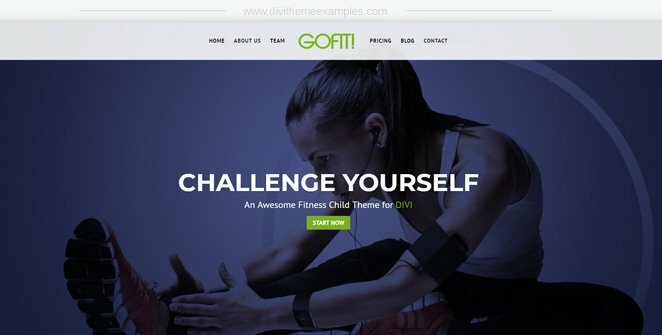 Gofit is a Fitness child theme that can be purchased for $45 over at Tanto Marketing. 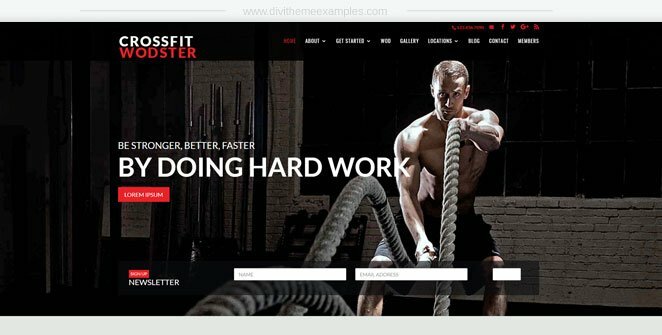 Do you have any more great Divi fitness examples?